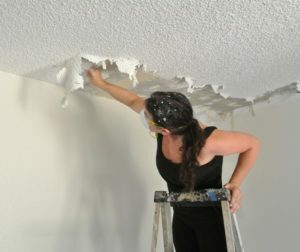 Do you need professional popcorn ceiling removal for a home or office that you just acquired? The purpose of this article is to help you decide on the best course of action. I will recommend calling pros because doing it yourself can result in damage to structural integrity as well as possible injury. 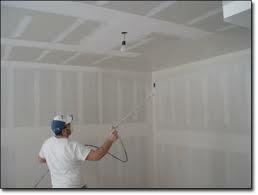 Acoustic ceilings or popcorn ceilings are a popular type of ceiling used in many rooms of many homes. Take a look up at the ceilings in your house. Does it look sort of like cottage cheese? If so, you have acoustic ceilings too. Their main purpose is to act as a seal, providing soundproofing for the rooms they are used in. At some point, you may need acoustic ceiling texture repair. 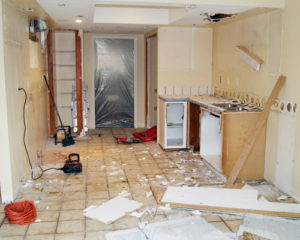 Plaster vs. drywall! If you throw them both in a boxing ring, there will be a cheering crowd for both competitors. When it comes to finishing walls, both drywall and plaster have their advocates. And that’s natural if you consider that both materials have their pros and cons. 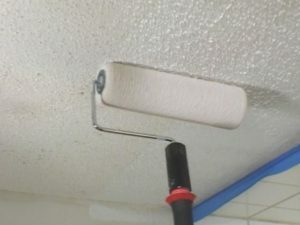 It’s no wonder why drywall covers most ceilings and walls across the country. It’s easy to install, appealing, and energy efficient. But its elegance and durability depends on a number of factors. From drywall installation to the quality of sheetrock, everything is important.